From 6th to 10th of February 2019 Izmir will be the centre of the AEGEE world. Around 100 participants will gather for the European Planning Meeting (EPM), which will focus on the issue of sustainablity this year. Of course the participants will also draft the new Action Agenda. EPM Izmir’s Main organiser Batuhan Çarıkçı – who was also Incoming Responible at Agora Istanbul – told the Golden Tımes what you can expect. 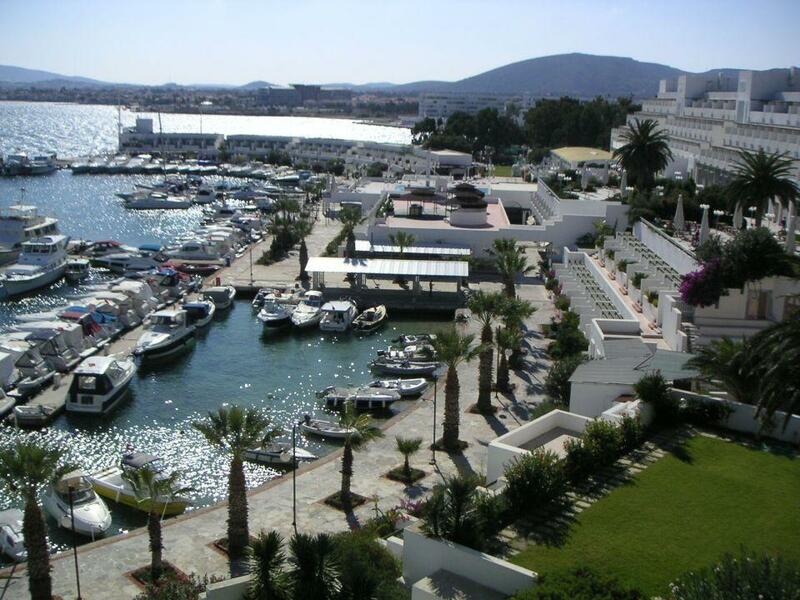 Golden Times: The EPM in Izmir is approaching quickly. Do you still get enough sleep? Batuhan Çarıkçı: I think so, seven hours per day must sound quite luxurious in AEGEE’s terms and conditions. GT: Indeed. Are you also studying, working or just focussing on the EPM? Batuhan: I was unfortunately not able to work for 1.5 years, because of the workload combination of the school, Agora Istanbul and EPM Izmir. This June I finally will be graduated from the university – hopefully. GT: How big is your EPM team and how is the atmosphere in the team? Batuhan: We have a big group of organizers. There will be 20 national and international organizers, and 20 AEGEE-İzmir organizers. 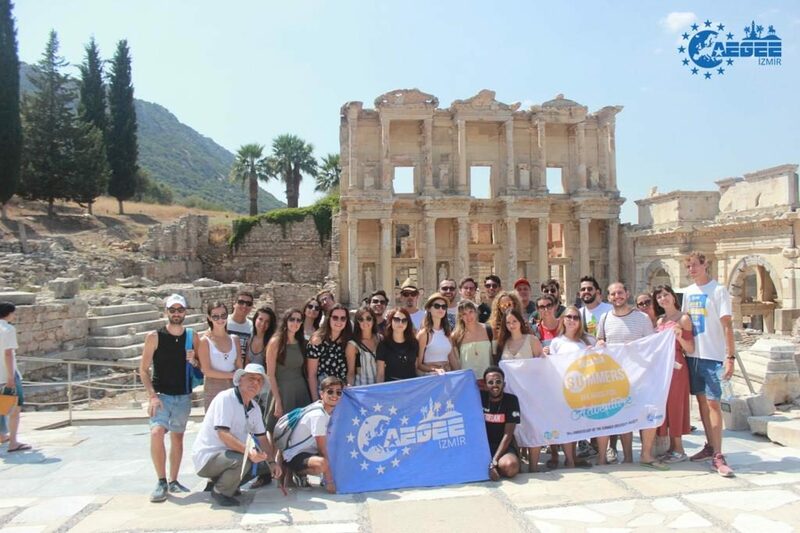 The bigger part of AEGEE-İzmir organisers consists of new members, and they are extremely excited for the EPM. 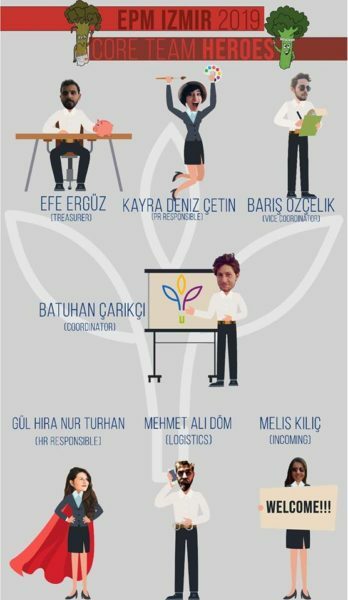 The general atmosphere in the team is very good, people know each other quite well and most of them have already worked together once – thanks to Agora Istanbul! GT: How many people do you expect as participants? Batuhan: Together with late confirmations, we will have around 100 participants. GT: Where will the people be lodged? Batuhan: Our participants will be lodged in private houses that we are going to rent. GT: Nice! And where will the programme sessions take place? Batuhan: The sessions will take place in one of the conference halls of the faculty of letters of Ege University. GT: Are the distances big or is everything pretty close? Batuhan: The private houses are directly next to the campus, and the distance between the accomodation and the venue is 750 meters, and between venue and dining hall there are just 350 meters. GT: What can you tell us about the opening ceremony? Batuhan: The opening ceremony will take place in an historical coalgas factory, which is used as a concert area or for other youth activities today. It’s a ten minutes walk away from the area where all the night clubs are in. The programme will be quite classical for an opening ceremony. We will start at 19:00 with appetizers, then at 20:00 the ceremony will start. GT: You were Incoming Responsible at Agora Istanbul. In what way did it help you to prepare for the EPM organisation? Batuhan: Being in the organizing part in an event, especially in a statutory event, is a very big experience. As the Incoming Responsible of Agora Istanbul, I had to follow every step and detail within the event like a vice-coordinator. Because I was the person that people contact first, in this case I had to have all the answers people need. This issue kept me always awake for providing communication between the local organisers and participants. The situation of getting always updated by both core team and participants made me way more aware of the needs of both of them. I was always in the game actively, collected a lot of feedback and measured the reactions of participants and organizers all the time. Doing this made me imagine the organizational part of EPM much easier. As a coordinator, you must know every detail of your event, but to be able to know every detail, first you need to be able to imagine them. GT: The Agora had to face lots of logistical challenges. How is it with the EPM? Batuhan: Since we have a great support from the Ege University, things will go much smoother, compare to Agora Istanbul. During the Agora, we had to convert a whole building into an Agora place everyday, which I think we did very good job with. We were building a plenary area from the beginning twice in a day! During the EPM, everything will be settled once, and the places like the plenary area and rooms are already ready to use. So, this time you will see less running organizers around! 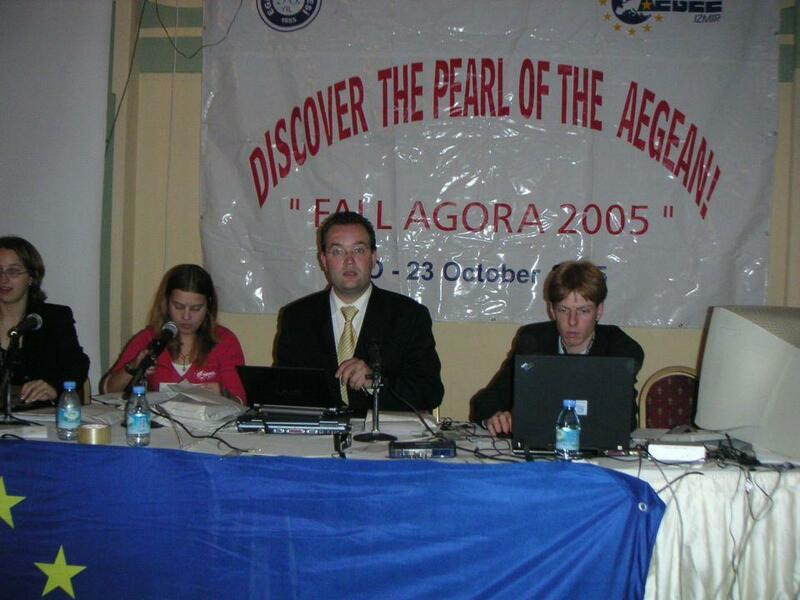 GT: AEGEE-Izmir already hosted two statutory events: the legendary Agora Izmir in 2005 – one of the best Agoras ever, with lodging in a five-star hotel; and the EBM in 2012, which was the first event with today’s EPM concept. Did you speak with the organisers of those events for getting advice or inspiration? Batuhan: Haha, yes, of course! Especially two of them, Selçuk Şentürk and Berat Ezel, they were always inspirational people for me, and I really like to have conversations with them and listen to their memories when we meet. Their advice, experiences and support were not helpful only for the EPM, but also for life itself. When I hear their stories especially about Agora Izmir 2005, I immediately feel inspired and impressed with their work. I hope they will be available to come to the opening ceremony of the EPM and there people can meet them. GT: Sustainability is the big topic of the EPM. 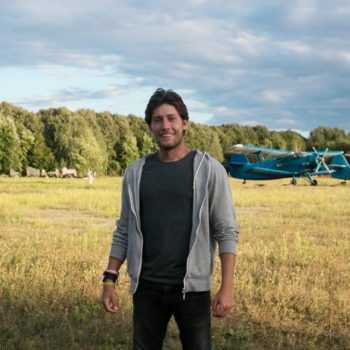 How is your antenna contributing to the topic? Batuhan: On local level, last April we organised a Network Meeting with the topic of green sustainability, and also we were organising Local Discussion Forums last year, and several times we focused on the topic of sustainability under different subtopics. GT: You are planning to plant a forest in the framework of the EPM. Please tell us more about the EPM Forest Mission. Who had the idea and what do you plan exactly? Batuhan: Building a forest was the idea of Barış Özçelik, the vice-coordinator of our EPM. At first, I was quite shocked and couldn’t understand what he meant with it. Afterwards, we checked the procedures and the prices of trees and said: yes we can! The idea of having a really concrete outcome after the event convinced me easily, because this is something beneficial for the environment around us. We will all remember this until the end and make a visit in the future, whenever we want. GT: When will you plant the trees? GT: Unfortunately, so far only 247 Euro of the targeted 4950 Euros have been raised… What’s your message to the readers? Batuhan: The number of 4950 Euros has only a symbolic meaning, we did not want to limit it since we don’t know how many people would like to contribute to it. In the end we will add all the leftover of the EPM budget there – at least 40% of whole budget – and see how many trees we will have in our beloved AEGEE forest. GT: There will be a Sustainability Debating Competition at the EPM. What can you tell us about that? Batuhan: Its event description on Facebook clearly explains what it is, let’s share the link here and attract more people. I am in contact with our IT responsible, whether we can provide some extra stuff for this session or not. GT: You promoted the event with a nice cartoon, starring the broccolis Mork and Fork. How are they doing? And: will there be broccoli on the EPM menu? Batuhan: They are fine, even though sometimes they are struggling with the sun of İzmir, because they are actually quite tough winter vegetables and growing somewhere else in Turkey. However, Mork’s homesicknes is still going on, but we hope one day it will be happy, in the end. The EPM menü is not announced by the university yet, but we can guarantee our participants that bad food is not something welcome here! GT: What can you tell us about the parties of the EPM? What are the themes? Batuhan: We actually would like to keep this part as a surprise. But at least I can say that this time we will give chance to genres like electro techno and R&B. GT: For what kind of weather should the participants prepare? What will the temperature be at the EPM? Batuhan: Sad news, this time we do not expect from our participants to bring their swimming suits. The estimated temperature is maximum 14 in the day, and minimum 7 in the night. In winter, Izmir’s weather is as stabile as Turkey’s economy, so we still suggest our participants to bring their raincoats. 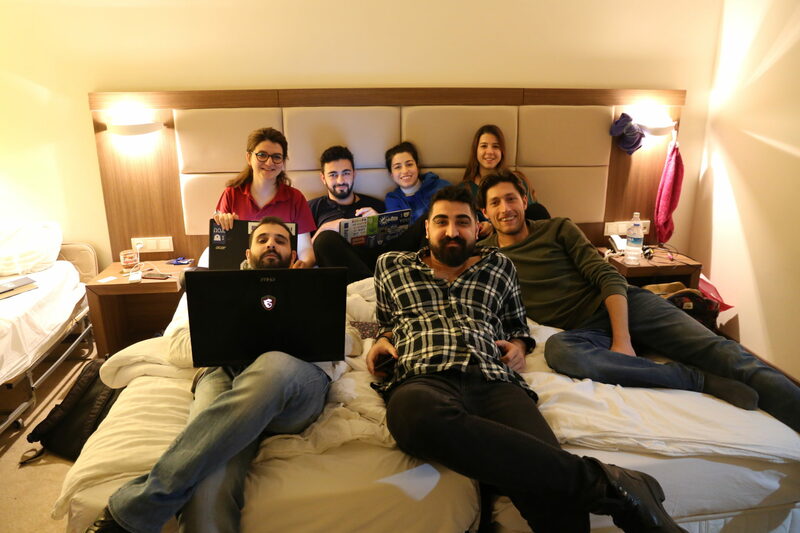 GT: Finally a personal question: in the GT year review you wrote: “After organising EPM İzmir 2019 successfully in February, I will check my options if I want run for one last round in AEGEE or not.” Are you already closer in making a decision? Batuhan: Not really, as I said there, I will think about the next steps with a fresh mind after the EPM. Right now, I’m completely focused on the incoming challange.